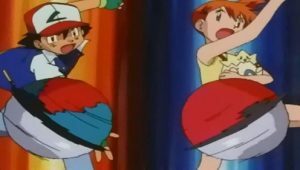 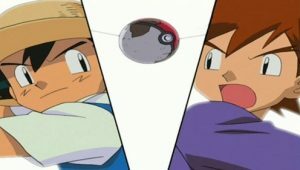 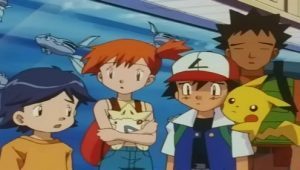 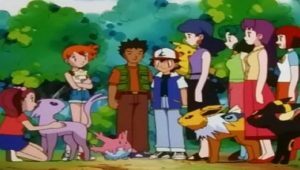 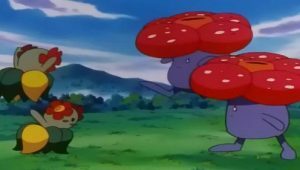 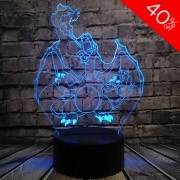 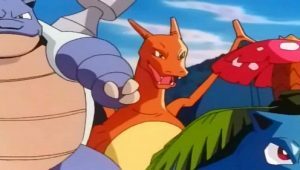 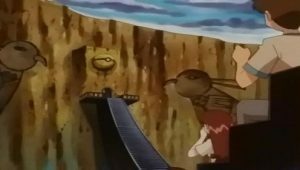 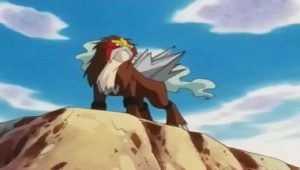 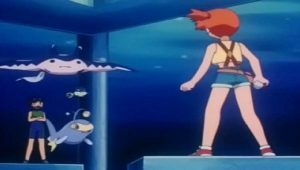 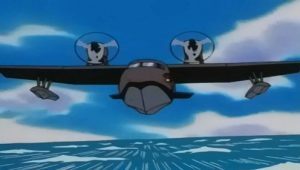 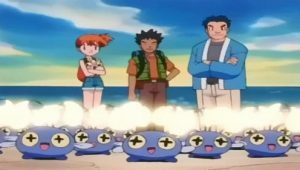 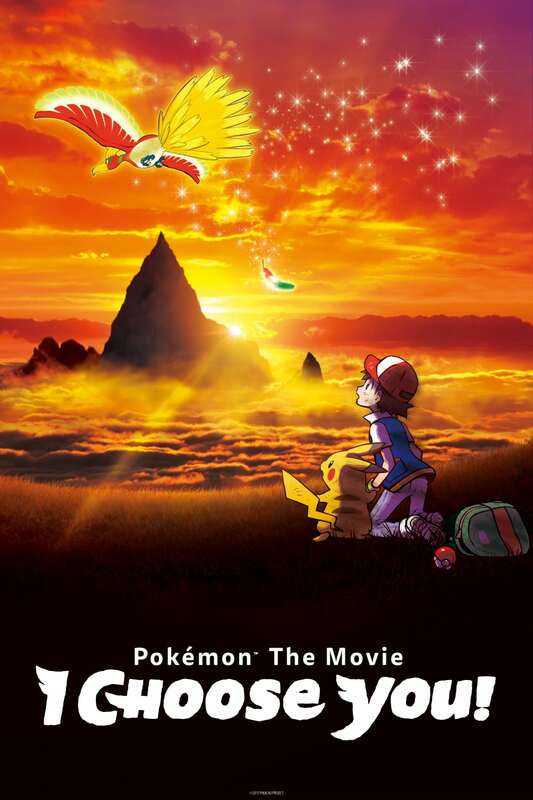 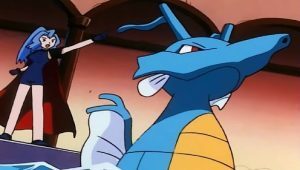 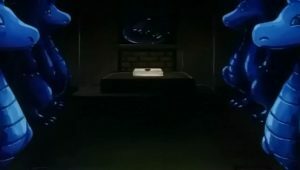 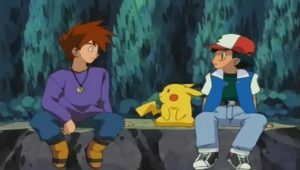 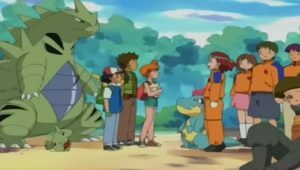 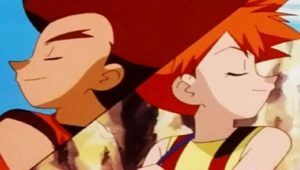 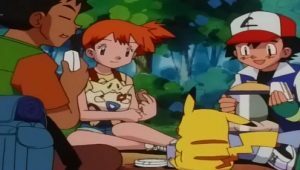 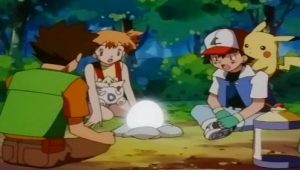 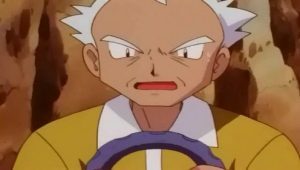 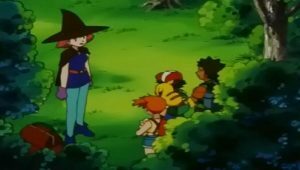 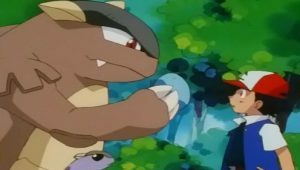 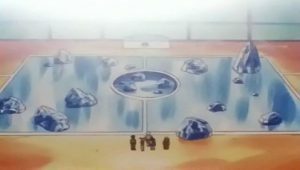 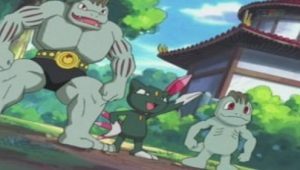 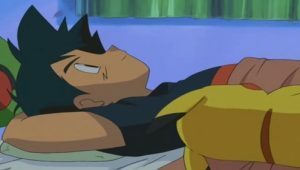 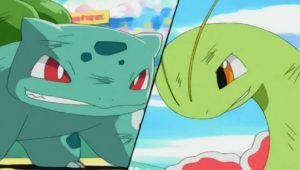 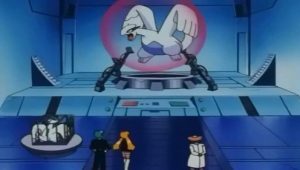 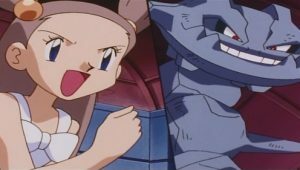 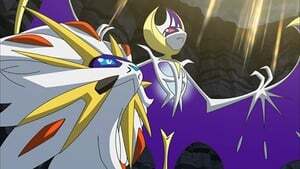 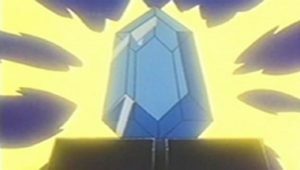 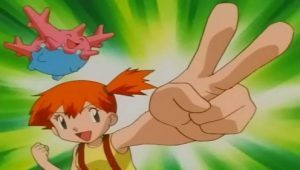 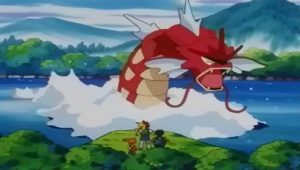 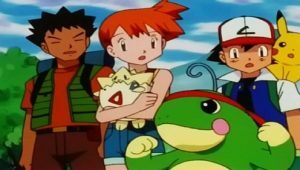 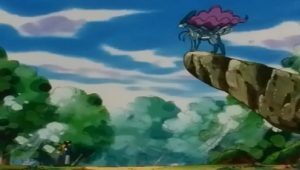 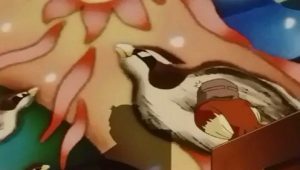 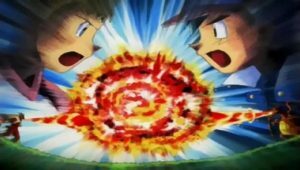 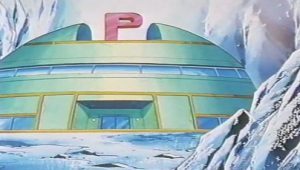 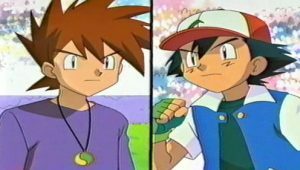 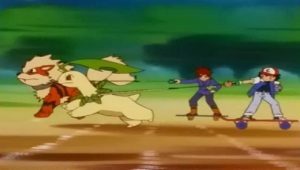 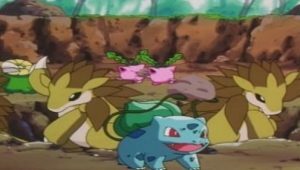 After reaching the town where the preliminary round of the Whirl Cup is held, Ash and Misty enter and earn the two victories required to continue on to the finals. 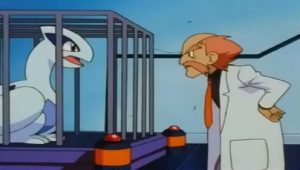 A friend they had met earlier is not as fortunate. 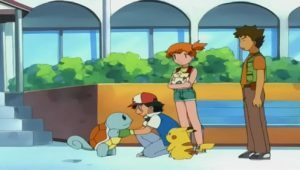 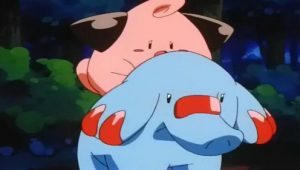 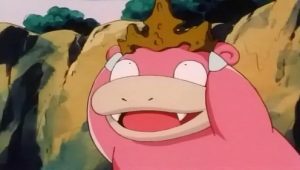 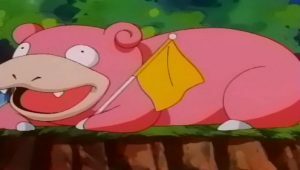 When Misty tries to console him with promises of the next Whirl Cup to be held in three years, he remains depressed, saying that it was not lack of ability but the low spirits of his Octillery that had brought about his defeat. 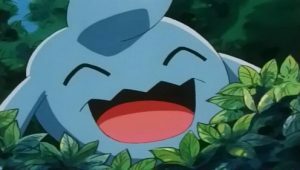 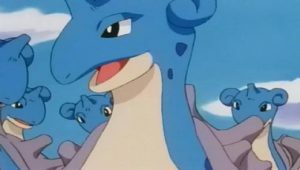 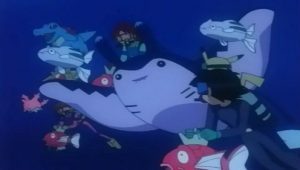 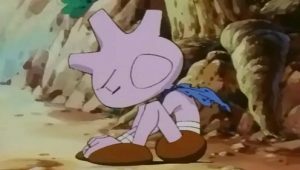 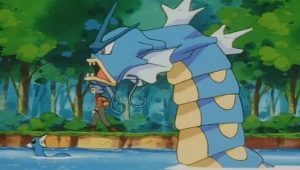 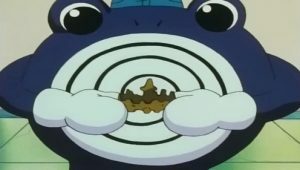 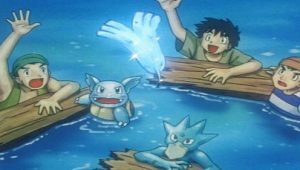 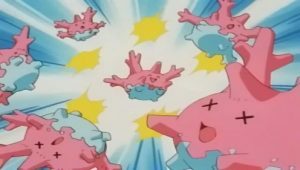 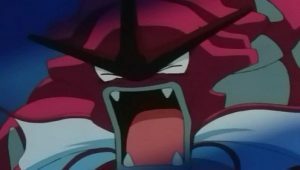 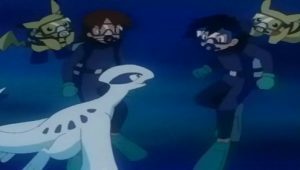 The Pokémon had been depressed ever since it evolved from a Remoraid and was subsequently spurned by its onetime Remoraid friends. 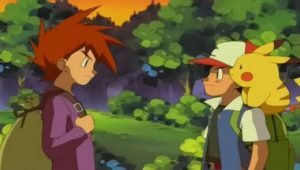 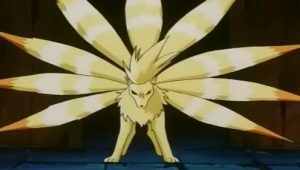 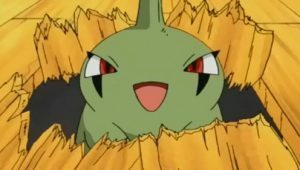 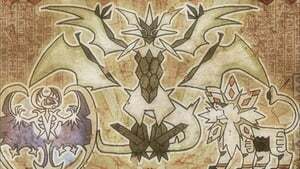 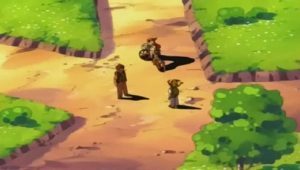 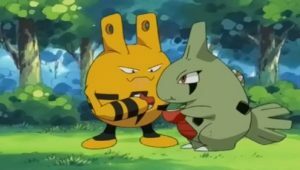 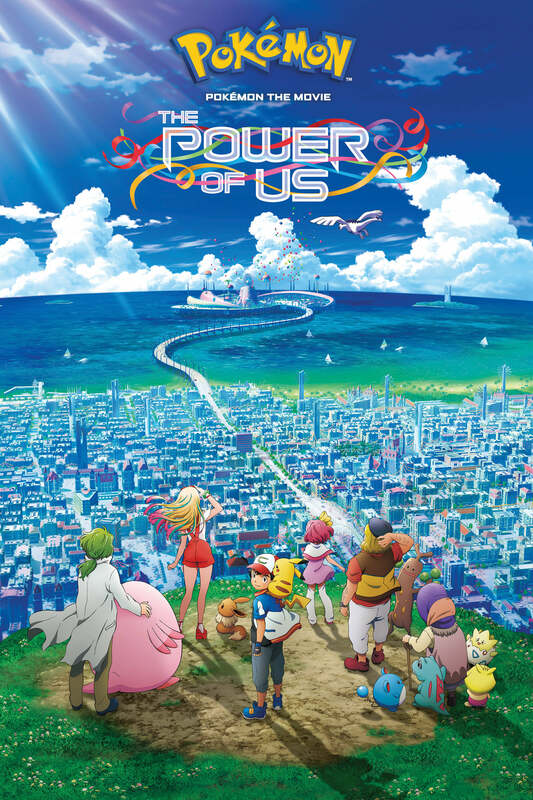 If the boy cannot somehow mend these friendships between Pokémon that have now grown different in appearance, he doesn’t see any hopes of victory even in three years time. 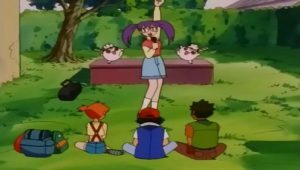 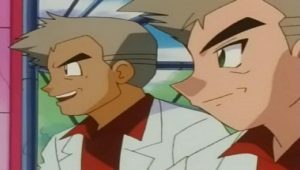 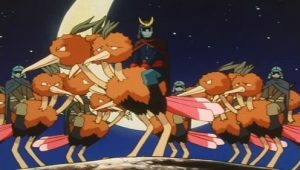 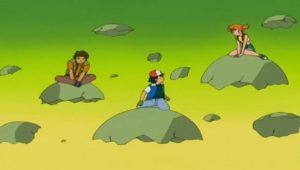 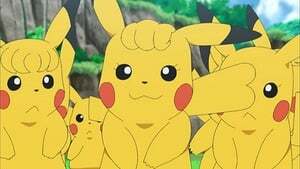 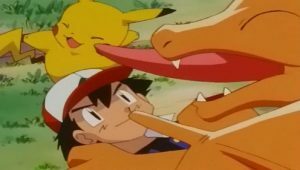 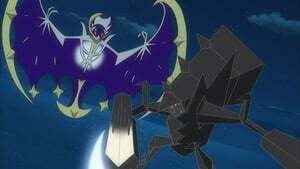 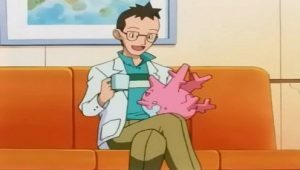 Ash and friends willingly lend their knowledge and enthusiasm to this problem of Pokémon sociology.